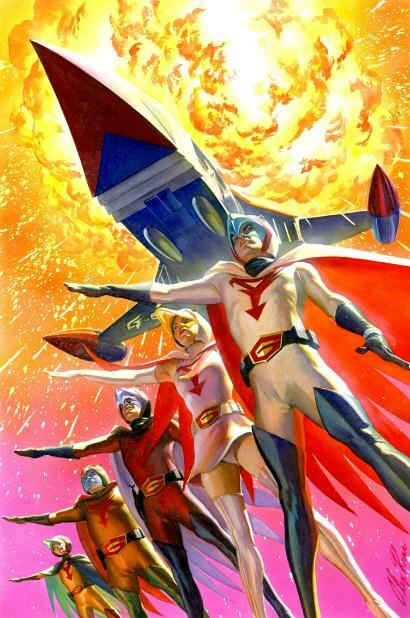 Dan Spiegle really is one of the last "living legends" in the comic field today, being active fifty nine years at the drawing board producing his wonderful detailed work. This artist knew early on that he wanted to be a cartoonist submitting a strip to King Features while still just in high school. 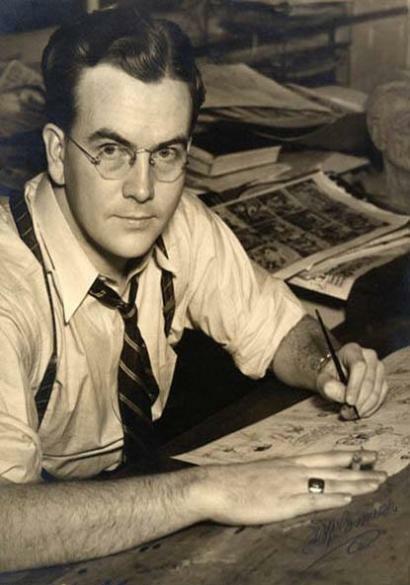 Their polite rejection and helpful suggestions inspired him even more to follow his dream, while carefully studying over his two major influences, Alex Raymond and Milton Caniff. 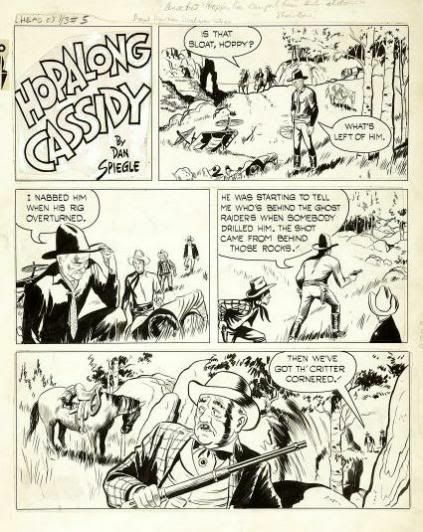 After a stint in the navy and enrolling in the Chouinard Art Institute, he got his big break in 1949 being chosen by Bill Boyd to draw the Hopalong Cassidy strip, because of the way Dan drew horses. 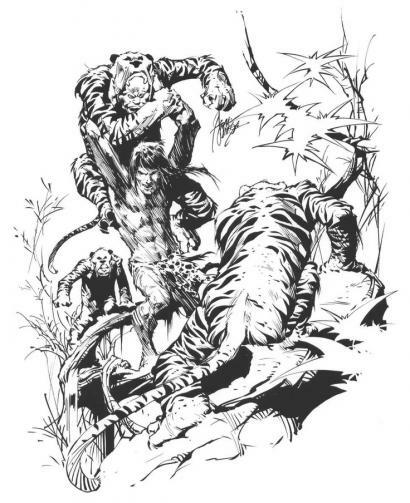 The strip lasted almost six years and was published in two hundred newspapers at its peak, with Spiegle's artistic skills and experimentation in storytelling (especially the use of Craftint) techniques being pushed to the limit by writer Royal King Cole. But once the strip was bought out by the Mirror Syndicate and the artist was offered a cut in pay, he decided to leave Hoppy and developed his own property, a swashbuckling pirate daily called Penn and Chris, though it unfortunately never caught on with the syndicates. But a man with so much talent won't be left alone for long, so sure enough, Western Publishing Company picked up Dan in 1956 to work on their numerous TV and Disney features. 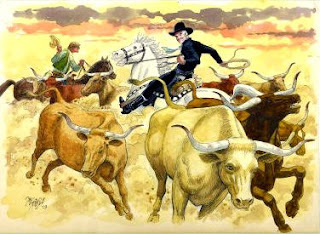 With his long background in drawing the Old West he illustrated Dale Evans, Buffalo Bill Jr., Spin and Marty, Lawman, and his personal favorite, since he got to meet the star and hang out on the set, Maverick. After a few years, cowboy dramas slowed down at Western, so Spiegle jumped into the action/adventure titles like Brothers of the Spear, Magnus, Robot Fighter, Korak, Son of Tarzan, Lassie, and Space Family Robinson, which were titles I imagine we all grew up reading with much enjoyment. 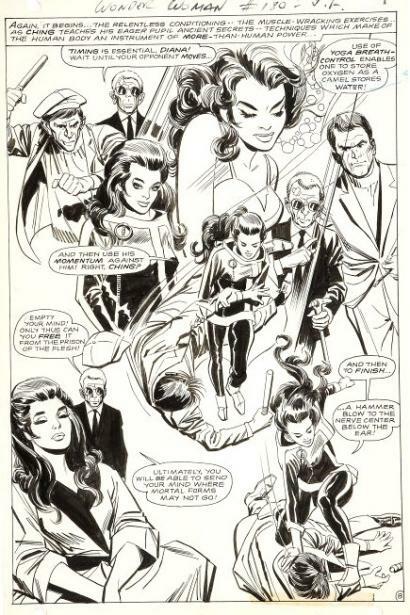 Known for his ultra realistic portrayal of any subject matter, especially in drawing a good likeness of actors, Spiegle could also draw in a animated style as well. Dan worked for Hanna-Barbara on Scooby Doo, Captain Caveman and other funny "big foot" animal features like Disney's Mickey Mouse, Goofy and film properties including Roger Rabbit, Pocahontas, and The Three Musketeers. In the seventies and eighties, Spiegle went over to DC working his artistic magic on titles like, Batman, Jonah Hex, Unknown Soldier, Brave and the Bold, Teen Titans, The Shadow, Sgt. Rock, and others in any genre DC had to offer. 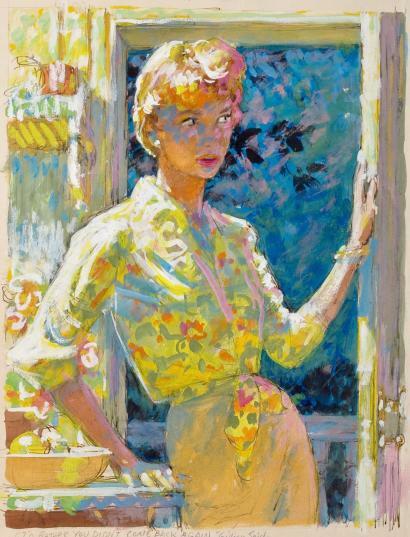 At National, Dan enjoyed more artistic freedom of expression that he had when working for Dell/Gold Key, including more control over his layouts and the crucial coloring process to set the mood of a page. Later, Spiegle worked at Eclipse Comics developing his beloved Crossfire with TV and comic writer Mark Evanier, which Dan says is his most favorite comic work. 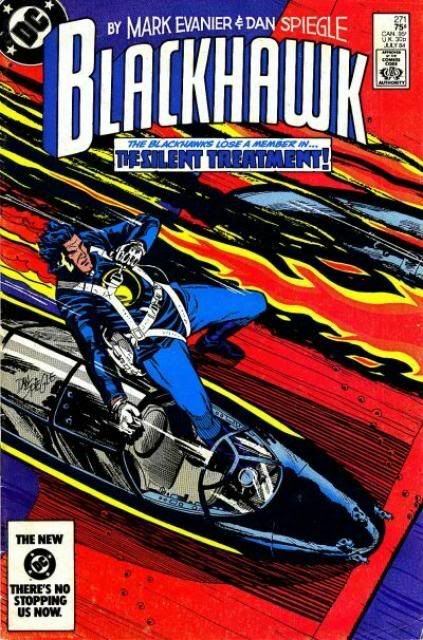 The artist also worked with Mark on DC’s Blackhawk and Hollywood Superstars for Marvel. 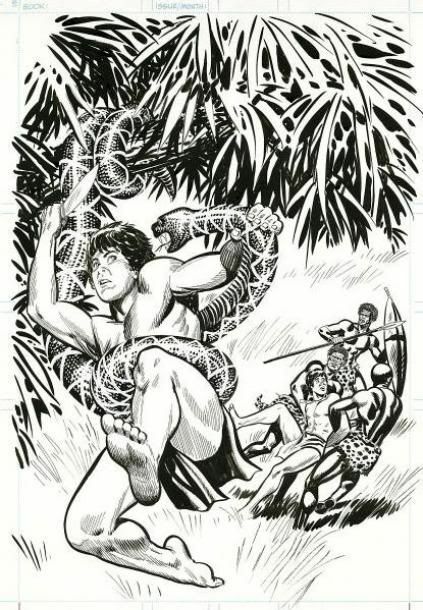 At Dark Horse Comics, he illustrated two wonderful issues of Indiana Jones, did Elvira, Mistress of the Dark for Claypool Comics, assorted magazine and book illustration, and a revival of the Terry and the Pirates strip. 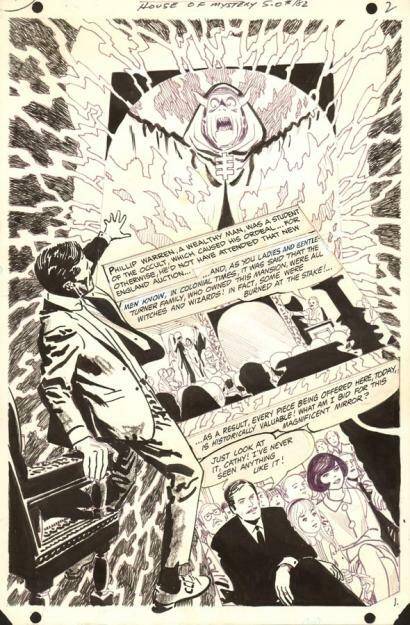 I am honored to be able to help Mr. Spiegle sell some of his artwork on my site. When I spoke with him last week he was just finishing up penciling a new Simpsons issue with Homer is in the army, still drawn in his animated style, while everything else was drawn realistically around him. 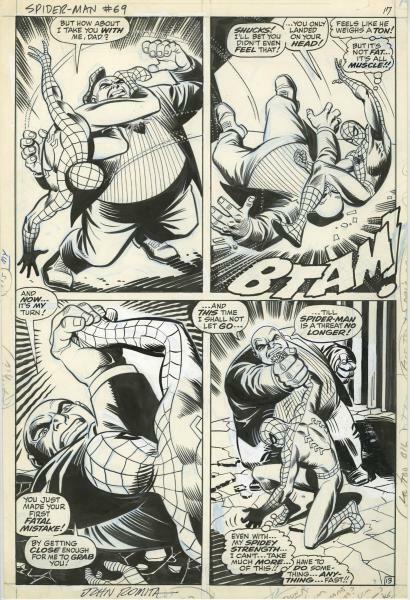 And though Dan enjoys the work, he admits his inking is finally getting harder to do, since he always penciled and inked his own material over his last eighty seven years. Living on the California coast, the artist likes to work in his orchard of fifty avocado trees between doing commissions, art assignments, and now playing golf, instead of his favorite sport of tennis. Unfortunately, Dan recently took a bad fall and postponed a trip to visit his family and stopped drawing, since it’s difficult to stand at an easel or sit for long periods of time. But I'm happy to report that he's doing much better now with the constant love and support of his wife, Marie, and his four wonderful children. Amazing pieces. I love the black in them, they remind me of when I used to still read all the X-Men comics I could get my hands on. Now I'm more of a Manga fan, but these are great. 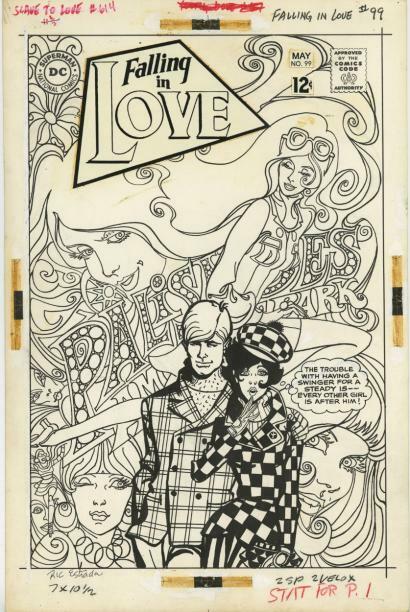 I remember an issue of "Graphic Story Magazine(? 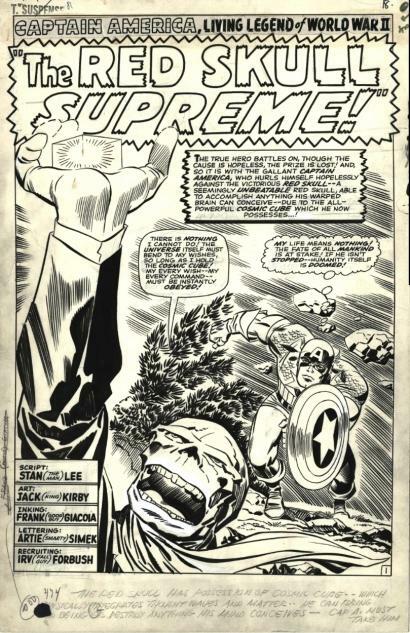 )that had an interview with Dan Spiegle and published some of the "Penn & Chris" pages. They were so powerful. Amazingly rendered. My favorite Dell issues were his "Hardy Boys" and "Spin and Marty" issues. Great layouts and storytelling! One cowboy issue, I remember, had art by Spiegle, Bill Ziegler and Alex Toth. 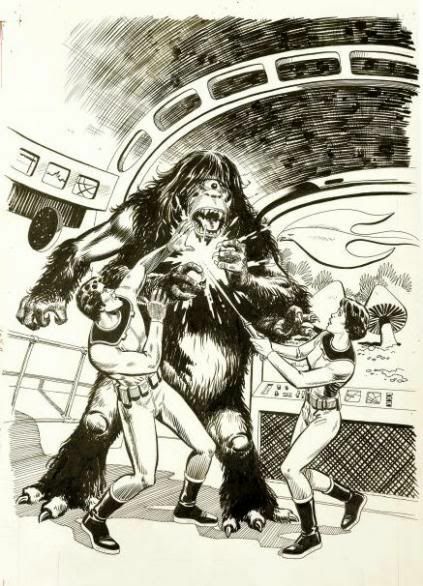 If only they could have squeezed a Russ Manning story in there it would have been the ultimate Dell comic. Thanks to both of you for the kind words. I hope to have an interview with Spiegle up in the near future.